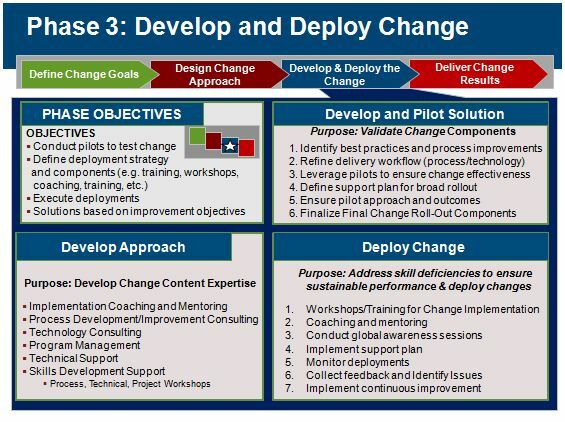 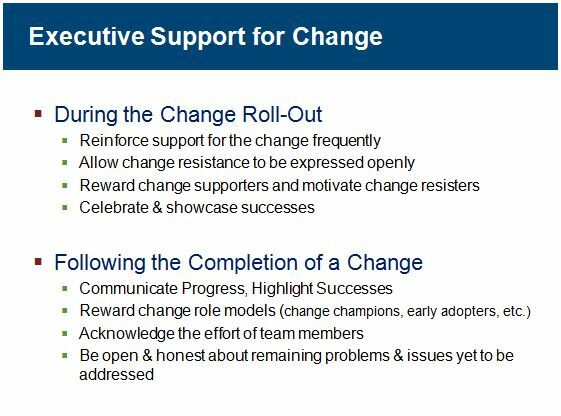 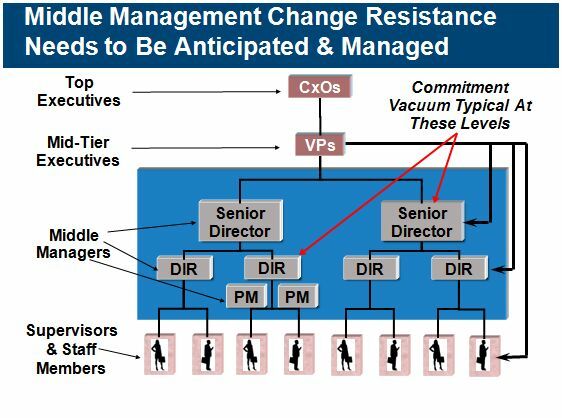 A world-class change approach includes mapping out change roles and delivering sufficient training and role change orchestration. 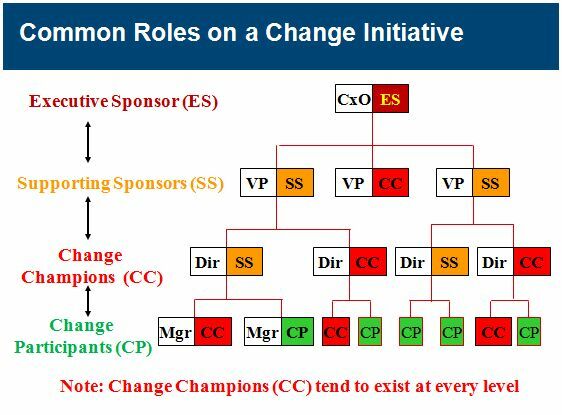 This approach ensures that aspect of the organization is pulling together in synergy on every level following the implementation of the change. 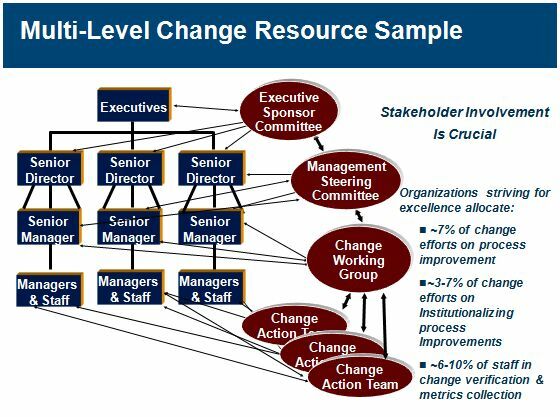 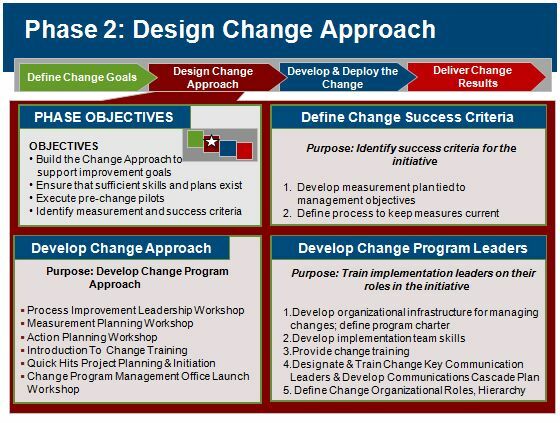 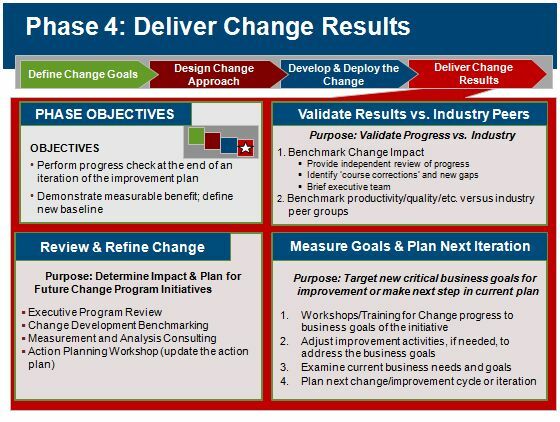 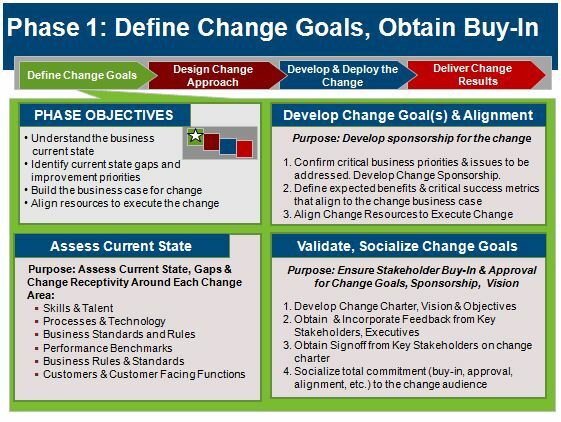 A world-class change approach includes mapping out a change implementation organization including the organizational inter-relationships, special committees and groups as well as specific roles and responsibilities. 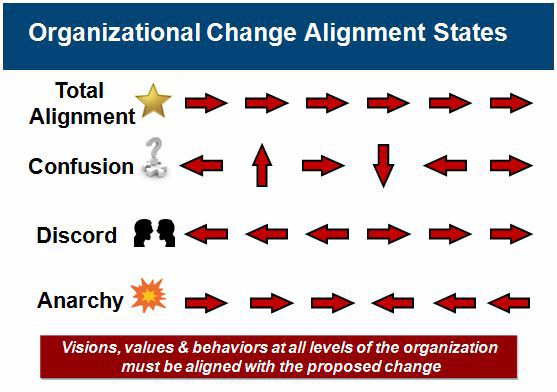 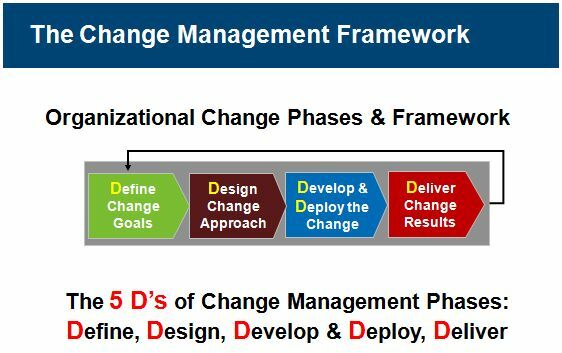 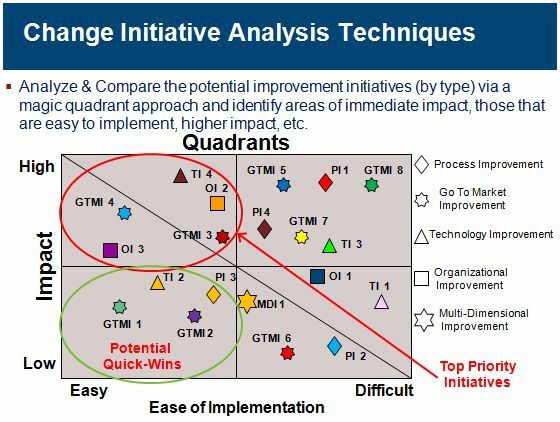 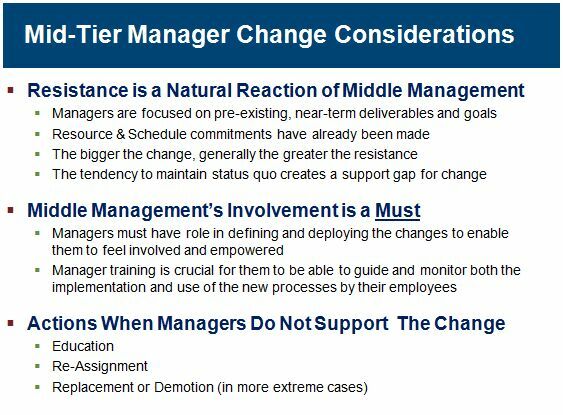 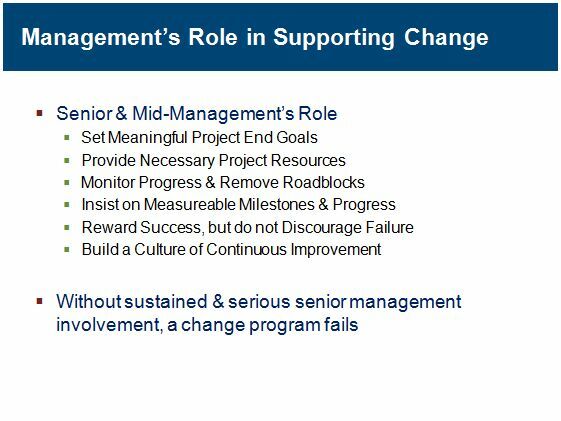 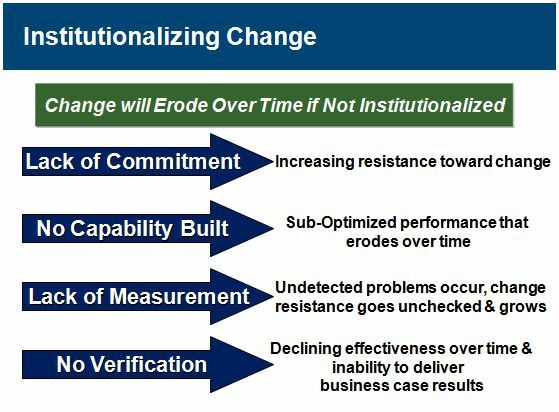 Best practice change methodologies and strategies can mitigate the pitfalls associated with not institutionalizing a change which risks, over time, organizational drift away from the desired change state.